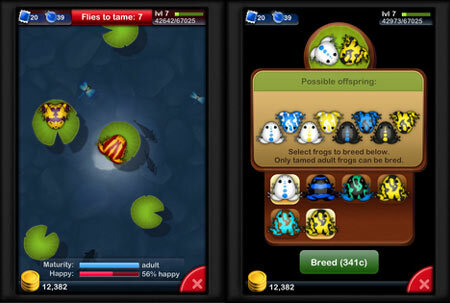 The following games like Dragonvale let you rear your very own fantastic critters, well virtually of course. When you download them from iTunes or Google Play, you’ll be able to take care of various creatures that range from the scaly and slimy sort to the furry and feathery kinds. The iOS and Android title in question enabled you to manage a magical island in the sky and raise adorable fire-breathers. Similarly, you’ll get to adopt and look after wonderful beings via your mobile device with these options. ‘Ever wanted to build an army of monsters?,’ quips the brains behind this endeavor. Well, if you’re nodding in excitement, waste no time in procuring this iOS-compatible delight that’s available for just under a dollar. Fashioned for the iPhone, iPod touch and iPad, the engaging title lets you indulge in fun monster training and catching activities. 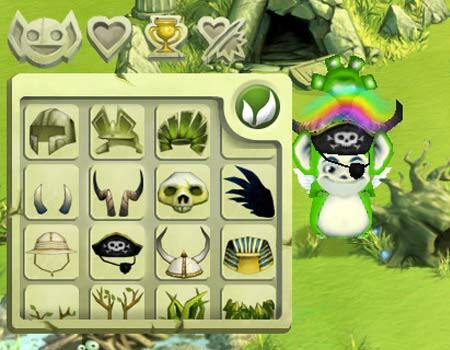 You’ll be able to evolve more than 200 critters and take advantage of strategic battles and fantastic abilities. During your journey here, you can also pick up soul stones, recipes and gems along the way. Moving away from the large reptilian sort, this next entrant in our games similar to Dragonvale roster deals with tailless amphibians that can be found in your very own backyard pond. Well, if you don’t have a fishpond, fret not as you’ll be able to collect, trade and breed more than 35,000 unique frogs via your very own iPad, iPod touch or iPhone. The free app features high resolution Retina graphics, over 60 challenging awards and different innovative items. You’ll have to scout through the virtual pond to find rare frogs and unique rewards. What’s more, you can even swap some swamp stuff like frogs and habitat items with other toad-loving pals. ‘Hatch, raise, and breed mysterious elemental creatures,’ is the call to arms here. This free iOS and Android compatible application is home to a plethora of rare and cute critters, each boasting of their own unique capabilities and features. Your aim is to nourish and raise them until they evolve into more matured beings. As the developer reveals, you’ll even be able to raise rare hybrid monsters to add a little spice to your critter collection. All these events play out in the form of high resolution artwork and awesome animation via your gadget’s touchscreen. The creator of this engaging title lets you step into the shoes of a critter caretaker. You’ll be transported to magical islands where you can rare baby beasts and transform them into mighty adults with love and care. Aim to reach the Epic form by evolving them through 4 stages. You’ll have different colored beings at your disposal for creating hybrids. You can grow your own magical food and decorate your virtual islands with flowers, habitats and castle towers. Even Facebook or Storm8 friends can come to play with you. And similar to many of the other Dragonvale alternatives, this one too can be picked up without you having to pull out your purse or wallet. 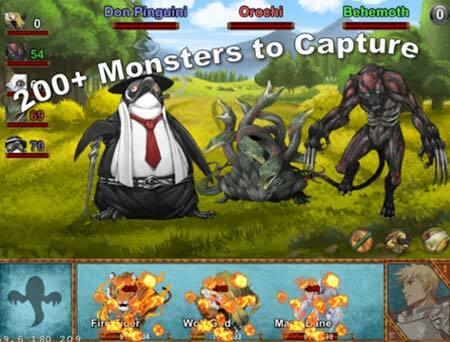 Miniature monster mania continues with yet another iOS and Android application. 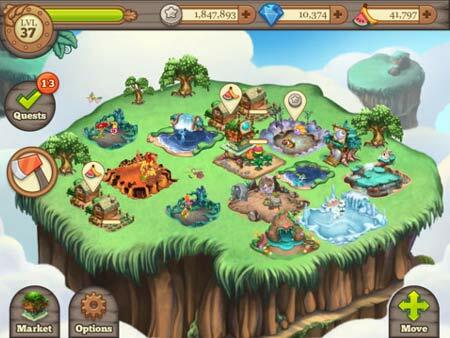 This free-to-play gem allows you to run your very own pet store. And as you might have already guessed, your shop isn’t stocked with just any sort of animals. 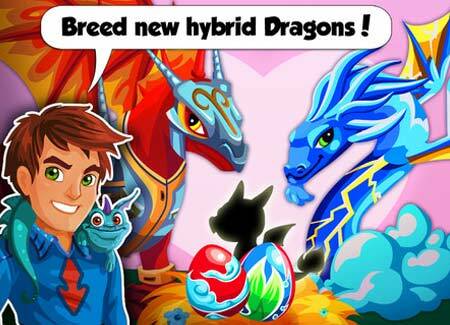 You’ll be able to breed, play, feed, exhibit and sell magical critters. And as the maker suggests, you can earn more cash if your pet is kept happy. There are 100 beings sporting unique appearances as well as 25 different monster types thrown into the amalgamation. And although it’s free to acquire, you may still have to pay for any additional in-app content you purchase. Fed up of killing the mindless menace? 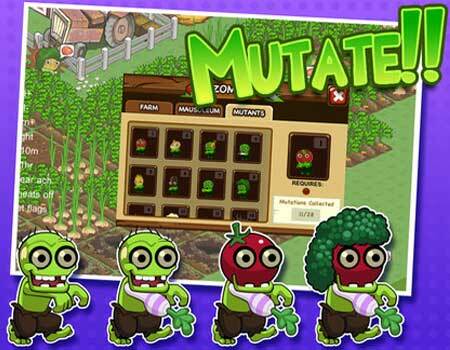 Well, here’s your chance to grow and cultivate them instead of splattering their rotting flesh all over your screen. You’ll be able to grow and harvest the corpse crop in your own virtual backyard. You can further opt from various zombies and even mutate different ones to create unique sorts of the undead. And instead of using them for evil purposes, these creatures will help eradicate the enemies which come in the form of pirates, farmers, city folk and evil bunny ninjas. This inclusion in our games similar to Dragonvale roundup is also up for grabs absolutely free of cost. Our final contender is a pet simulation title that enables you to nurture and rare adorable little terror tykes. 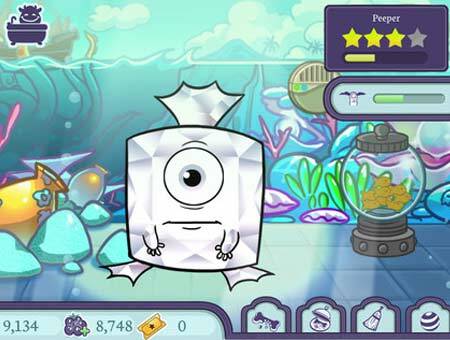 You will be able to raise your baby in a fantastic island that’s packed with funny creatures. What’s more, you can dress up your critter in a variety of costumes and even slap or pet it in order to teach your new friend how to behave. Feed it magic fruits and watch as it transforms right in front of your eyes. The title bears a cost of just under $5. However, there’s even a free edition for all those of you who wish to try it out. Caring for pets of the electronic sort is definitely not a new concept in the digital world. Back in 1996, you had what was called a Tamagotchi, a handheld digital pet that allowed you to care for a virtual being which could be hatched, feed, played with and even given medical help when required. A couple of years later, a furry robotic toy called Furby took the world by storm. You could rub its tummy, feed it and even tickle the electronic creature. Jump 15 years to the present and the notion still remains intact, just the method and gadgets have been altered to suit the current needs. 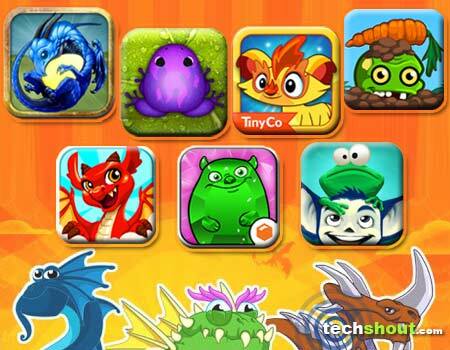 The aforesaid games like Dragonvale can be availed through your portable device, anytime, anywhere. Now how about leaving your favorite mentions in the space situated just below?